eBay likes to run seller promotions. Lots of seller promotions. Lots of big seller promotions: a couple hundred free listings here, a thousand free listings there, five thousand free listings the week after that, and so on. There's a lot of room to list a lot of things for free on eBay these days. Most sellers have at least a few things that they could stand to list for free on a weekly basis, but a few thousand things? Well, some might think, why not? If the listing is free, why not find something to list and get as many freebies as eBay is offering? So what about it? Shouldn't you "max out" that eBay promotion by taking full advantage of it? Probably not, and there are two reasons why: eBay's Best Match search results system and the reality of supply and demand. Since eBay's "best match" search tool, the default for eBay shoppers, was introduced, not all eBay sellers or item listings have had an equal shot at the pie. Best match was created specifically to promote some sellers and some items ahead of others, very similar or even otherwise identical sellers or items. So long as an eBay buyer is using "best match" search results (and most buyers are), Seller A of Widget Y may appear at the very top of search results, while Seller B of Widget Y may appear at the very bottom, or in some cases, not at all. Best match takes a number of things into account as it's building search ranking sellers performance, detailed seller ratings and feedback, shipping costs, photos, listing title accuracy and specificity, use of the catalog, and so on, but there's one metric in particular that can often pit best match and eBay promotions against one another: listing performance. Impressions: This refers to how often shoppers actually click on your item listing when they see it in search results. Number of Bids: In auction format listings, this refers to how many bids have been placed on your item and how many distinct bidders were involved. Conversion Rate (or "Sell-Through" rate): This refers to the number of purchases that were actually made for each impression that a seller receives in his or her listings. A seller whose item listings have been viewed 100 times with 10 sold items has a higher conversion rate than a seller whose listings have been viewed 1,000 times with 10 sold items. More listings can mean fewer impressions. Most sellers sell in just one or two categories; pumping a thousand new listings into that category or set of search results means that each individual listing is less likely to get clicks. Shoppers that do get to one of your listings and want to see your "other items" will now see thousands. Rather than click on each or the majority of your other listings, as they may have done previously (unless you're a seller that routinely lists at this volume), they'll now click on a tiny minority of them. And so on. More listings can mean fewer Bbs. For the same reason, more listings can mean fewer bids, particularly if you're competing against yourself by listing many listings for the same item(s). This doesn't just toy with your best match ranking; it also toys with your sale price, reducing bid competition in the case of auction listings and leading to lower margins. More listings can mean a lower conversion rate. Those listings may be free, but they're not without a cost. If you normally list 100 items in a week and sell 10 of them, and a promotion gets you to list 1,000 this week and you sell 20 of them, your sales have doubled but your conversion rate has fallen through the floor. Each of these things can lead to much poorer search placement and thus a vicious cycle leading to fewer sales. Poorer placement means fewer impressions and fewer bids, which means lower conversions and fewer sales, which means worse placement still. Even worse, some sellers are tempted to try to "make it all up" at the next promotion (or even before then) by listing in greater and greater quantities, the exact opposite of what will help them in this situation. In short, because Best Match search placement is so important to eBay's marketplace, maxing out an eBay listing promotion when you don't normally do that volume of listing (or have the clientele or base of shopper demand to support it) can quickly tank your selling account and future listings for a very long time to come in a way that is difficult to counteract. Reduction of Final Sale Value: With that many more auctions going on in a particular category, and on eBay generally, at a given time, you may find that winning bid prices are measurably lower due to the larger number of listings competing for eyeballs and bids. Do you really want to sell ten times the number of items that you usually sell if your margin goes from a positive one to a negative one? Destruction of Future Demand/Market Saturation: If you're listing in very popular categories, posting many, many listings in the same one or two categories, or selling items that are exclusive to you and/or a very small number of other sellers, you may find that converting most of your listings during the promotion period saturates the market to some extent. This can drive down demand during subsequent days and weeks, something that can affect the steadiness of your revenue stream and (for auction listings) winning bid amounts for some time to come. Loss of Branding/Marketing Opportunities: For items of exclusive, unusual, collectible, or otherwise limited-supply items, a sudden glut of listings can give buyers the impression that supply isn't limited. Even if you convert on every listing, buyers that under other circumstances may have bookmarked you and returned to you for future sales may now assume that it's enough to visit eBay.com and do a search the next time they want to make a purchase. 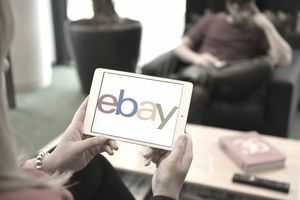 Less Than Ideal Timing: eBay usually times heavy promotions to occur as eBay revenue from a particular kind of listing or category is flagging or when the numbers of particular kinds of listings are in short supply. In practical terms, this means that eBay offers promotions in formats and categories when they're selling cheaply or not well, or when the community of sellers using those categories and formats knows that they're selling cheaply or not well and doesn't list for that reason. Don't let yourself be talked into listing at worse times for the kinds of items that you sell or listings that you post! Aside from these specific reasons, the more general truth about posting many, many listings at once is that you're radically increasing supply when you do so at a time (during a national or international promotion) at which many other sellers are doing the same thing. No matter the particular analysis that explains why it's a bad idea, in general, this kind of increase in supply is likely to have a negative effect on demand or price, both immediately, and in the near future. Rather than "max out" a free listing promotion by posting as many listings as you can just as other sellers are doing the same thing, be smart about the listings and use them to control fees that you would have had anyway, without necessarily modifying your ultimate selling practices. Use listing scheduling options to avoid sudden listing gluts. List in the same quantities that you otherwise would have done, or at most, a few extra listings to take advantage of cost savings. Monitor listing analytics and sales report closely after you use promotions and adjust your practices accordingly when future promotions are announced. Always value the development of best match and seller performance metrics over quick bursts of listings or sales; take the long-term view if you want to remain viable for the long term on eBay.